A component of my residency at The Edge gave me the opportunity to hold a workshop to create an interactive chandelier. In the workshop I introduced participants to electronics and soldering. I provided a range of building materials, including plastic flowers, beads, plastic toys, cake cooling racks, chains and other sparkly, shiny things. 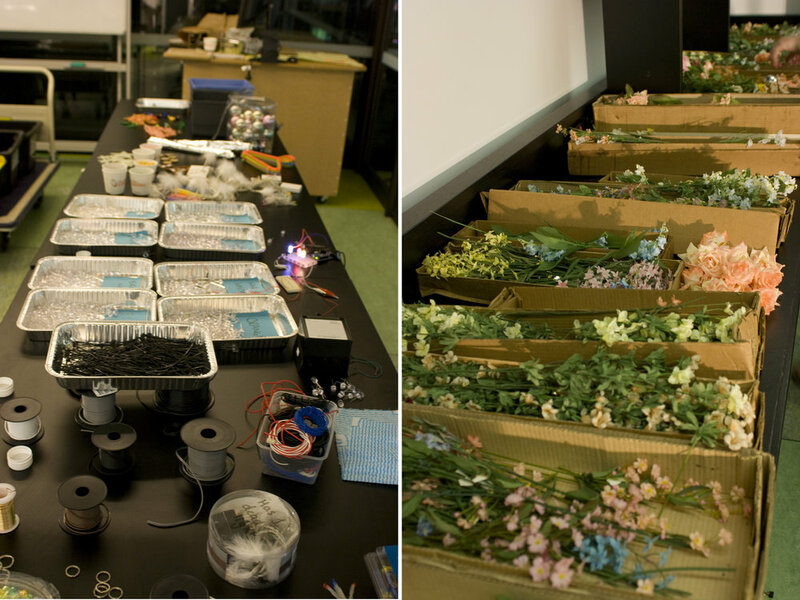 Coloured LED lights, wire and soldering irons, allowed participants to build their own stands of coloured lights. For this workshop I designed a programmable circuit board to drive the LEDs in the chandeliers. 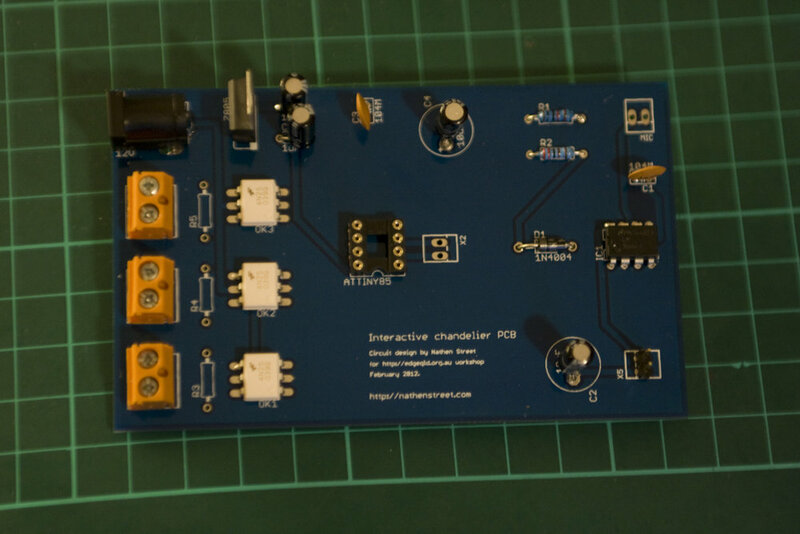 Each board contains an ATTiny85 microprocessor, which can be reprogrammed using the Arduino programming interface. The methods of programming the ATTiny was inspired by the work by the High-Low Tech Research Group at MIT Media Lab.